Galangal Spa has received the prestigious award as the Indonesian winner in the category of Best Luxury Boutique Spa at the 2014 World Luxury Spa Awards, identifying its dedication to delivering outstanding service to its customers. 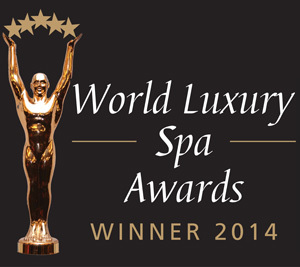 Judged by guests and spa consultants in the recent voting poll in February and March 2014, World Luxury Spa Awards are setting the benchmark for the spa industry all over the world. They represent the ultimate recognition for providing best service to spa goers and are accepted as the standard in service excellence within the industry. The awards criteria are solely based on service quality and a panel of independent spa consultants in 144 different countries nominates each participating spa. Established as a complete retreat getaway at Samabe Bali Suites & Villas, Galangal Spa with its tranquil setting provides a perfect ambience for refreshment and relaxation. The two spa treatment rooms are located in the building next to the lobby offering a wide variety of treatments and massages to rejuvenate the body and soul, including world famous traditional Balinese Massage. After treatment, guests can relax in the outdoor sunken tub filled with flower petals. Incense sticks and lit scented candles by the tub will help guests soothe their mind and body. Organic juice or herbal tea is offered with spa retreat programs. Leave the spa feeling younger and healthier.